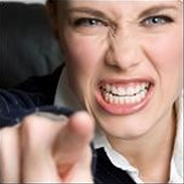 Are you frustrated with confrontation and difficult people? Learn how to speak with tact and diplomacy in one of our signature communication training experiences. Learn how to keep your composure regardless of the situation. Understand the most effective communication strategies for people who are aggressive, passive aggressive, passive, and angry. Learn the number one cause of workplace conflict and how to manage communication conflicts with your peers, boss, subordinates and customers.